Now that you've created your first board and a few cards, you are ready to involve your colleagues and see how it plays out in a real team setting. To add members to your Board, click on the Invite button in the top right corner. Those invited, will also become members of your Workspace and the Team your board is located in. To get things done, it's crucial to know what needs doing and when. 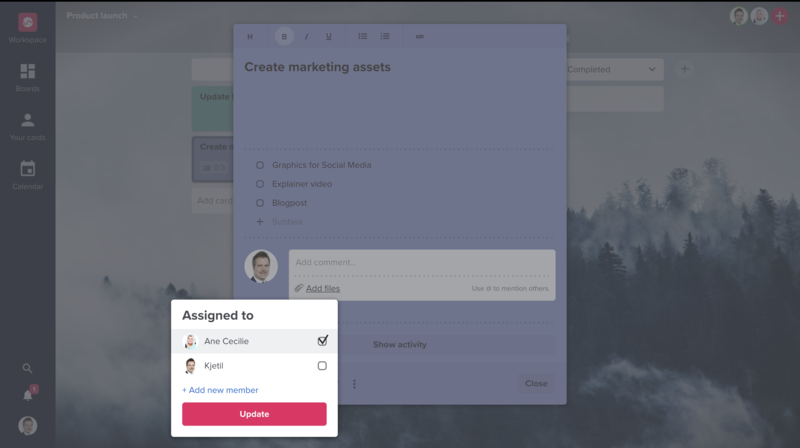 Use the assign-feature to make sure no task is left behind and set deadlines to keep your priorities straight. To assign a card to a team-member, click on the ninja-icon on the bottom of the card. To set a due date, click the clock-icon. Staying on track without clear and open communication is impossible. 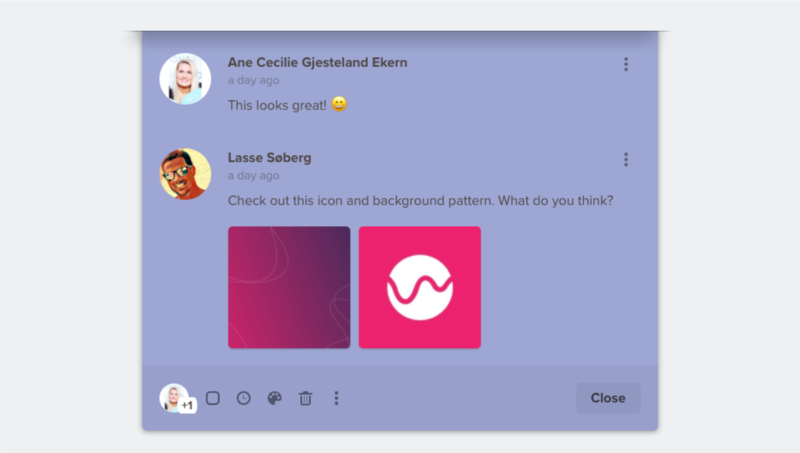 Use the comment section on a card to upload files, write comments and get real-time feedback from your team. This way, all information relevant to a task, can be found in one place. To see all comments on a card, just open the card by clicking on it.